Providing a meal to someone in need has been popular among many people in various communities for centuries. If you take a minute to think about it, food is probably in the background of more of your memories than you even consciously realize: all the casseroles your family and friends brought to that picnic, the new neighbor you baked a cake for so they'd feel welcomed, the time you volunteered for a soup kitchen, and the list goes on. This is because food can heal, emotionally and physically. Community Servings believes just that, and they've taken the concept of food as a form of charity to a whole new level. Community Servings is a not-for-profit food and nutrition organization. They provide a wide variety of services to communities throughout Massachusetts and have recently branched out to Rhode Island. When they were founded in 1990, their focus was to provide home-delivered meals to individuals living with HIV/AIDS in Dorchester and Roxbury, MA. Not only has their reach expanded from a couple of neighborhoods to a wider region, they also make and bring meals to people with many different critical and chronic illnesses. Community Servings estimates that this year, they will provide 675,000 meals to ill people. 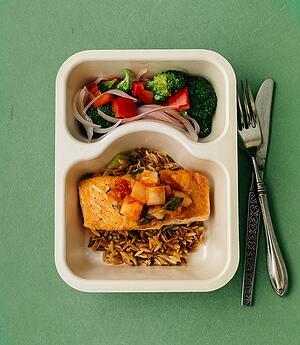 One amazing thing about these meals is that they can be medically tailored depending on the client's nutritional needs in relation to their health problems. Now you may be asking, who makes all this food? Certainly a handful of chefs can't be making hundreds of thousands of meals in their limited spare time. Well, another really cool program that Community Servings provides is food service job training in their Teaching Kitchen. 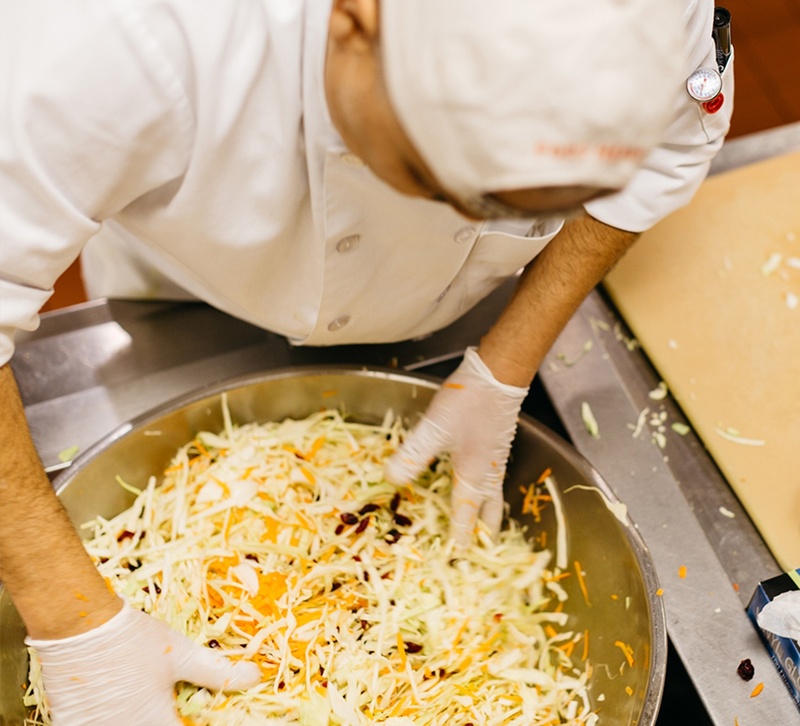 People who are interested in careers in the food service industry help create meals for sick people in their communities while learning skills that could help them overcome any barriers to full-time employment they may face without the assistance of this program. That's really a win-win situation right there! Of course, the approximately 600 volunteers that Community Servings sees each month help as well! The list of things that this organization does for their communities scrolls on and on, and all of these require some form of funding. To help with this, Community Servings hosts some pretty significant annual fundraising events. One of their biggest events is LifeSavor. For this dinner party themed event, 90 of Boston’s best restaurants donate tables to the cause for free. Those who buy tickets to LifeSavor take part in raffles, auctions, and delicious multiple course meals at said restaurants! This year, the event was held on April 26 and it was more successful than ever, raising $735,000. Community Servings also hosts their extremely successful fall fundraiser, Pie in the Sky, every year. Plus, they do some fundraising on Mother's Day with a program known as Meals4Moms. With all of these things to plan, promote, and execute, Community Servings requires many different printed items throughout the year. With the help of SPC, Community Servings has been able to do things such as send out direct mail invitations prior to their events. Nolan is grateful that SPC takes into consideration that they are a not-for-profit that needs to find a happy medium when it comes to price and quality. She also mentioned that the timeline for their fundraisers can be kind of crazy and she's thankful that everyone involved is always willing to work really hard to pull them off. After all, Community Servings wouldn't be able to do all of this helpful and fun stuff without bringing in money to cover the basics, like electric bills. Fundraisers are integral in keeping their lights on and their doors open, so it's important for any greeting card, table tent, and thank you note to be eye catching and effective.